Each violinist knows that strings are a very important and delicate part of an instrument. Strings determine the overall sound to a large extent. They also affect playing comfort. 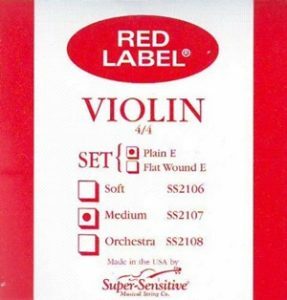 In general electric violinists use strings that are made for all kinds of violins, there are some restrictions-some common strings for acoustic violins are unsuitable for electric violins. 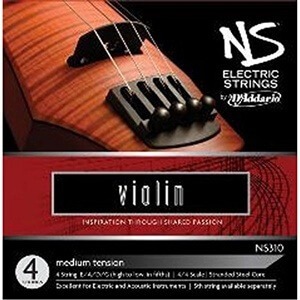 In addition, electric violins often have additional, typically lower, strings. 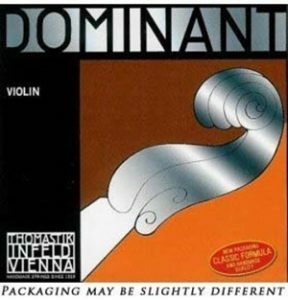 They expand the tonal range beyond the range that a conventional violin offers. But these strings are usually not available from your local music shop. It is well worth spending time to find the right strings, and we will try to offer some guidelines on these pages. A lot of musicians hear a noticeable difference in their play when they change out their strings. In some cases the difference is so tremendous that it can help to build confidence especially in young/novice players. One of the key reasons you want to be sure that you are using the bet strings that you can is so that you do not blame poor instrument response on your skill level. A lot of novice musicians are very critical of their play and it can be discouraging when the instrument is not responding the way it should because of poor quality strings. Having an instrument that plays well will highlight your skills while an instrument that does not play well will make your skills seem less acute then they actually are. The right strings are imperative when it comes to getting the sound that builds confidence and that can help you to hone your skills. 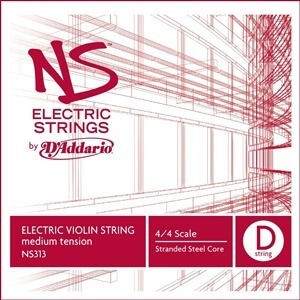 The right strings will help your electric violin to showcase your skills and help you to really hear how you are playing. Bad strings equal bad music and many musicians internalize the problem and make it their own when in reality it is just strings. Electric violin strings play a very important role in the sound you will get out of the violin but unlike acoustic strings that have to be really durable to stand up to use. We are going to look at some tips for choosing the right strings and then review some options to help you make a choice that is going to really enhance your play time. 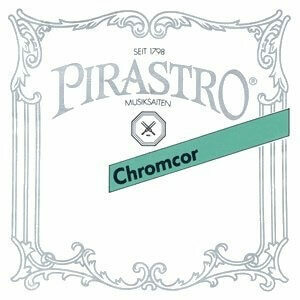 Taking your time to choose the best strings for your playing style and instrument will really pay off. A lot of people do not use the strings that their instrument is shipped with because they are not of the best quality. Higher quality strings can ensure that you get the sound that you hope for. When you are making your choice consider the tips that we have listed below. We like strings that are coated because they really do take a beating and a little coating can go a long way in their preservation and longevity but that does not mean those are the only strings that will give you what you need. Finding the perfect strings really is a journey that begins and ends with your preference. If you like something – use it, regardless of your skill level but in the same token do not overpay just because you have heard that the strings are superior by buying several packs. Buy one pack, try it out if you like it than buy more. The goal is to find the strings that you really like so you may have to test drive a few to get the ones you really like. The metal matters. Different alloys are well known for creating different tones and sounds so you do want to consider what type of tone or sound is best for your genre. In some cases it is better to opt for a composite, in all cases it comes down to your personal preference. If you know you are hard on strings than the stronger the better should be you motto. Choose your gauge wisely. The gauge matters when it comes to the type of playing you are doing. Choosing the right gauge can really pay off when it comes to the type of results you get. Again this may be something you have to discover through trial and error. Try out different gauges until you find the ones that suit you best. Don’t be afraid to customize your string set to get the most out of it. With a little trial and error you can come up with the best custom option for your style. You do not have to have all the strings the same, you can mix up brands and even materials to get a one of a kind unique sound. We are going to be honest here and let you know that there are plenty of good choices available that are actually quite affordable. 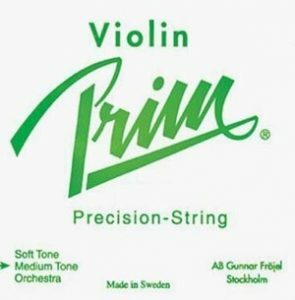 We tried to give you a wide selection of strings at different price points so that you could find great options in any budget. We do suggest that you do not go too cheap when you are buying new strings. These are excellent strings. They are heavy duty and work well with a wide range of playing styles and genres. They are a higher price point than others but most musicians agree that they are well-worth the cost. 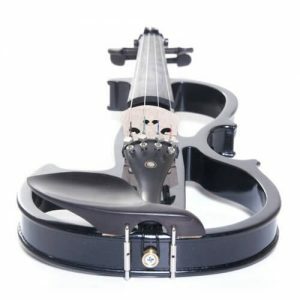 These are specifically designed for best electric violins but they can be used on acoustic violins as well. They are medium tension and built for durable use. These are a great option that are available in different options. These strings are coated and ready for hours of play. 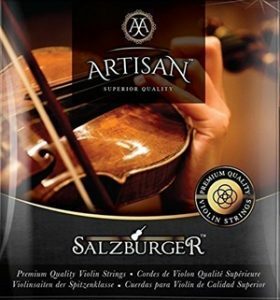 In a word these are “cheap”, really cheap, but they still made our list of reliable electric violin strings. These are a really great option for when you are really low on funds. 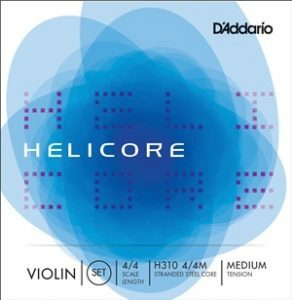 These are standard steel core string that offer medium tension. They work well on standard size electric violins and they can also be used on acoustic violins which makes them a great option. These are synthetic strings that reportedly were able to stand up to the top of the line Dominant strings in a blind play test and easily pass with flying colors. Great strings for the money is all you ever hear about these high end strings. 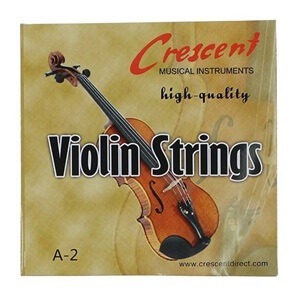 They have been compared to the Dominant high quality strings over and over again. These are the top of the line strings that are heralded as some of the best on the market. These are the cream of the crop and well worth the investment. These are decent strings for any playing style. They are relatively inexpensive and durable. These are also high end strings that are a good investment. They are a little on the high end when it comes to price point but they are well worth the cost. 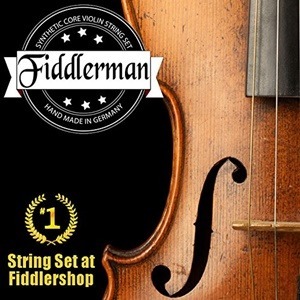 These are a really eclectic bunch of strings that are across the wide range of prices, you can easily choose any one of these strings to best accommodate your needs. Some of them are surprisingly very inexpensive (the novice may want to consider these). We stated earlier that you should beware of going too cheap when you are searching for strings but we have re thought that because we were able to find strings that are very low cost. We were surprised to find that many of the strings are actually very high quality at a very reasonable price point. We discovered that you do not have to spend a ton of money to get great results. When you find the right strings you will want to buy extras so that you can always have them on hand. Manufacturers can discontinue lines and you wind up not being able to find the strings that you need if you do not stock up. Investing in strings is an easy way to get the sound that you really want to out of your instrument. You should always have spare strings on hand anyway so why not just buy the good ones in bulk? Having reliable strings on hand will take some of the stress out of practice, recording and performances.